In 1824 Thomas Fooks was recorded as a glove manufacturer of Kingstone in Pigot's Directory of that year although in 1827 he was recorded as living in South Street on the Jury List. Pigot's Directory of 1830 listed him as a glove manufacturer in South Street as did the Somerset Gazette Directory of 1840. He was a member of the Vestry in the 1830s and in 1834 he was listed as a subscriber to William Hull’s “History of the Glove Trade”. As Nonconformists, all the baptisms of Thomas and Louisa's children were recorded in the Yeovil Independent Church Register of Baptisms. E Watts' map of 1831, shown below, indicates the location of Thomas Fooks' house known as Park Street House with its garden and the huge orchard behind it. It had previously belonged to James Cayme the Elder. The 1846 Tithe Apportionment noted that 'House, Garden & Orchard' (Parcel 478) was owned and occupied by Thomas Fooks. The Apportionment measured the parcel as 2a 0r 20p. The Apportionment also noted that 'Gloving Yard & Garden' (Parcel 460) in Frog Lane (today's Addlewell Lane) was also owned and occupied by Thomas. This measured 0a 2r 12p (for details on historic land measurement - ie acres, roods and perches - click here). In the 1841 census Thomas and Louisa (recorded by the census enumerator as Susan), together with their children Thomas aged 16, Louisa aged 13 and John aged 9, were all listed at the house. Thomas listed his occupation as glove manufacturer. In the 1851 census, at the age of 56, Thomas and Louisa were listed with their son William aged 21 and a glover, John now 19 and an agriculturalist, daughter Louisa with her husband John Hamilton Davis and their four-month-old son John, together with a cook, general servant and a housemaid all living in the house. In the census Thomas gave his occupation as glove manufacturer and then outlined the number of his employees, unfortunately this is largely illegible but it would appear that 30 men and 14 boys were employed in the factory and 300 women and girls were employed as outworkers sewing the finished gloves. Thomas Fooks was one of Yeovil's first Town Commissioners, holding the post from 1830 until 1849. In 1854 Fooks was listed on the Burgess roll as owning a house and factory in South Street. Also in this year he was elected to the Town Council, polling 54 votes. 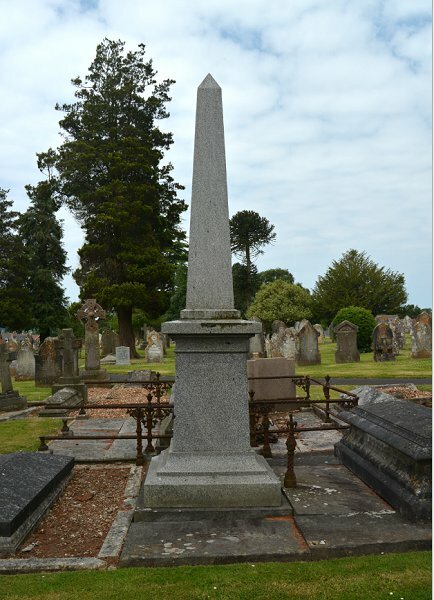 In 1857 he was a member of the Town Council Committee concerned with creating the new burial ground in Preston Road. Hunt & Co's directory of 1850 listed the company of Fooks & Critchell as glove manufacturers of South Street, a listing repeated in the Somerset Directory of 1852. In 1856 Boyd and Fooks were the largest glove manufacturers in Yeovil. In 1858 they employed 1156 men and 8050 women. Their factory was located on the north side of South Street and to the east of Union Street, in the area now occupied by Kwikfit. The company of Fooks & Gawler, glove manufacturers of South Street, was extant certainly as early as 1861, if not several years earlier, and was listed in the Post Office Directory of 1866. They also owned a factory and dressing yard in Addlewell Lane. Gawler was Charles Dycear Gawler who later manufactured gloves under his own name in Wyndham Street. By the time of the 1861 census Thomas described his occupation as landed proprietor. He and Louisa, together with a servant, were still living in South Street, also living in the house but listed as a separate household were their son William with his wife Rachel, their two children and their own servant. William was now running the glove manufacturing business and described his occupation as 'Leather Glover Master employing 30 men and 8 boys'. 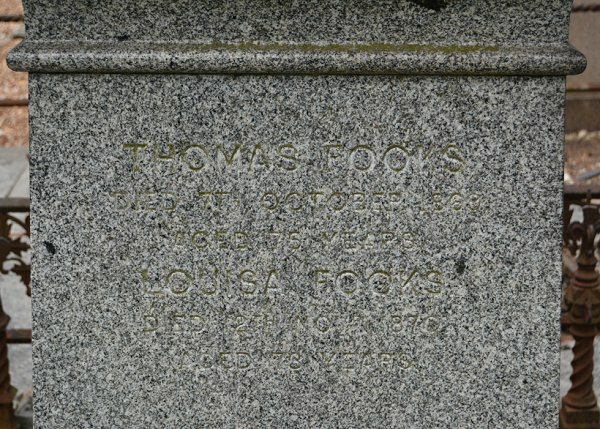 Fooks & Gawler were still listed in the Post Office directory of 1866 but Thomas Fooks died in Yeovil in the winter of 1869, aged 75, and Louisa died in 1870 aged 73. Both are buried in Yeovil Cemetery (see below). Thomas Fooks' signature against the Vestry minutes of 3 March 1831. 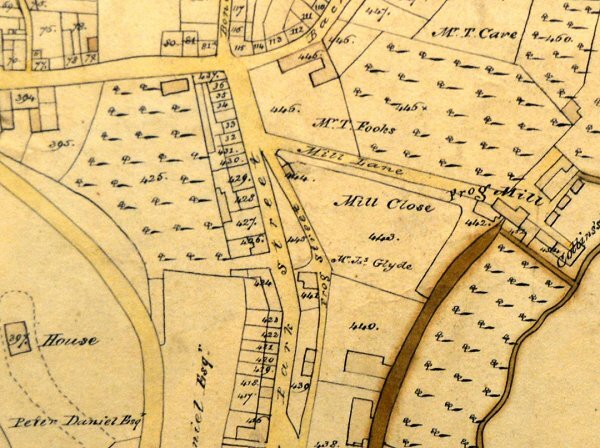 E Watts' map of 1831 shows Thomas Fooks as the owner of Park Street House (later the home of his son William) at top centre with its land - here all numbered 445 - running the length of Mill Lane. 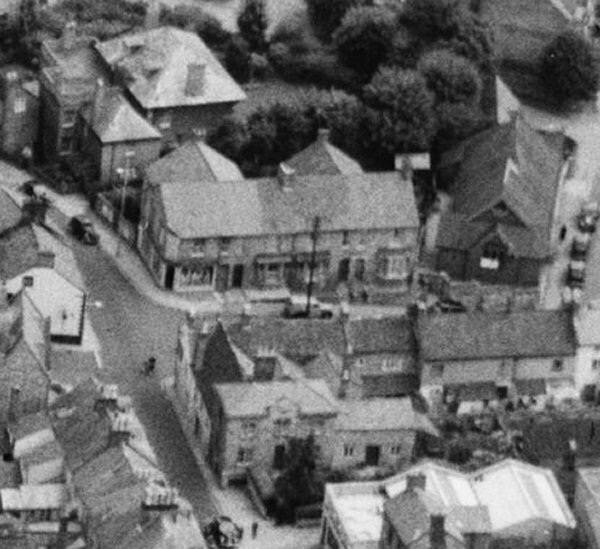 The land at lower left, Parcel 425 with a large house at top right of the plot, was also owned by Thomas and his house photographed below was built in this location but end-on to South Street. Towards bottom, right of centre, the parcel marked 440 was Thomas Fooks' gloving yard and garden. 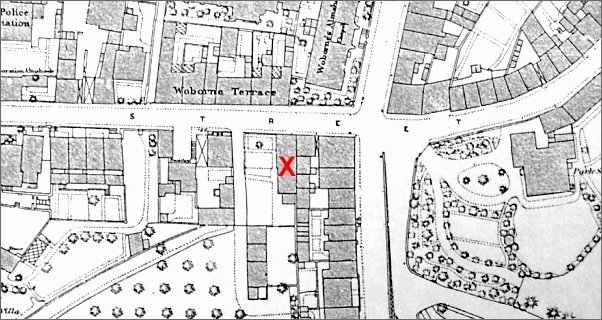 This map, based on the 1886 Ordnance Survey, shows South Street running across the map with Thomas Fooks' house marked 'X'. At right is the large house and gardens of his son William's Park Street House. 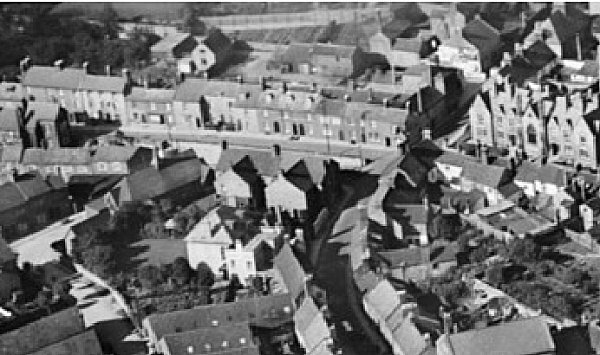 An aerial photograph of 1953 showing Thomas Fooks' house in South Street at centre bottom, Thomas' son William Fooks' house known as Park Street House at top left, Harefield Terrace at centre and Holy Trinity church hall towards top right. The Yeovil Tithe Apportionment of 1846 shows that Thomas Fooks owned the following. 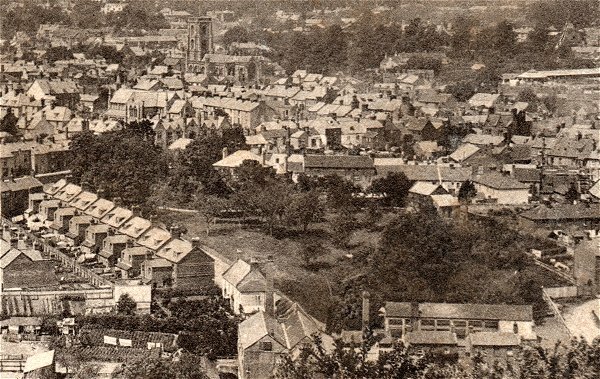 Houses on the west side of Mill Lane run down the bottom left quadrant, while the house, garden and large orchard of Park Street House occupy the centre of this image, enlarged from a postcard of around 1908. This 1920s aerial photograph shows South Street curving up from centre bottom to top right with Park Street and Bond Street running across the photograph with Woborn Almshouse at top right. The Globe Inn is on the top corner of Park Street and South Street with a pair of cottages behind it in South Street and then Thomas Fooks' house at top centre. 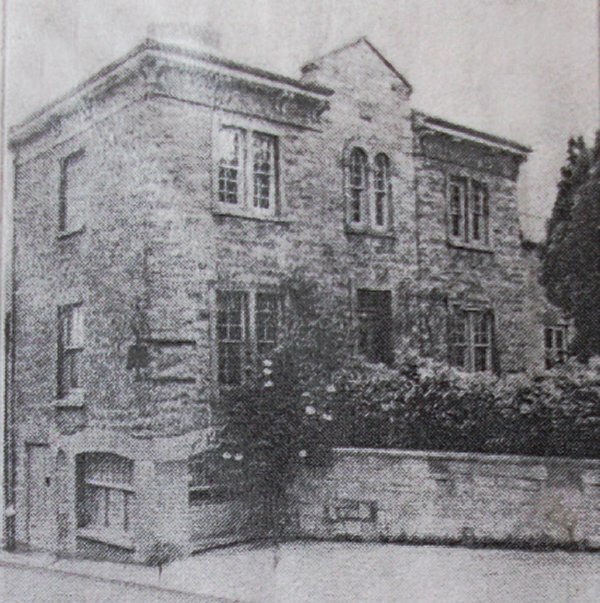 On the opposite corner of Park Street from the Globe Inn is the short Harfield Terrace (with twin gables at rear) and the shop - later Samuel McCreery's junk shop, now a hairdresser - built in the garden of William Fooks' Park Street House, which is the large white building just left of centre. The house in South Street, home of Thomas and Louisa Fooks. 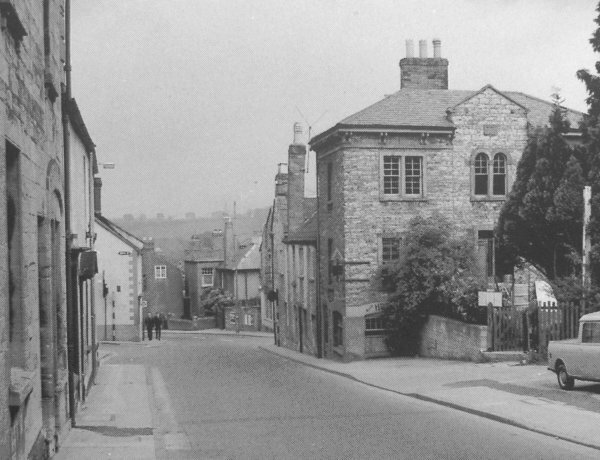 A 1960s photograph showing Thomas Fooks' house at right in its South Street setting. The white building at left with two people outside is on the corner of Bond Street while opposite is just seen the junction with Park Street. The house seen on the corner of South Street and Park Street was Park Street House, the home of his son, William. 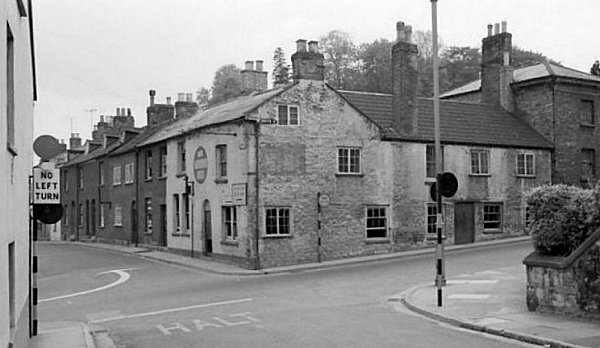 The photograph above was taken in the 1950s and shows the Globe Inn awaiting demolition. The cottages either side - in Park Street to the left and South Street to the right, were demolished at the same time. This photograph was taken from the southern end of Bond Street and the short wall at extreme right is that of the Woborn Almshouse, built here in 1860 after its previous building, behind the Pall Tavern, fell into ruin. Thomas Fooks' house is at extreme right. The memorial to Thomas and Louisa in Yeovil Cemetery. Photographed in 2014. The inscription on the above monument.